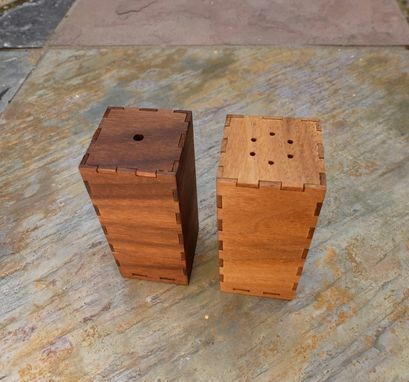 These salt and pepper shakers were cut from 1/16″ walnut stock using a laser cutter. The laser cuts a kerf so thin, it almost has no thickness, just enough for the the pieces to fit together tightly. 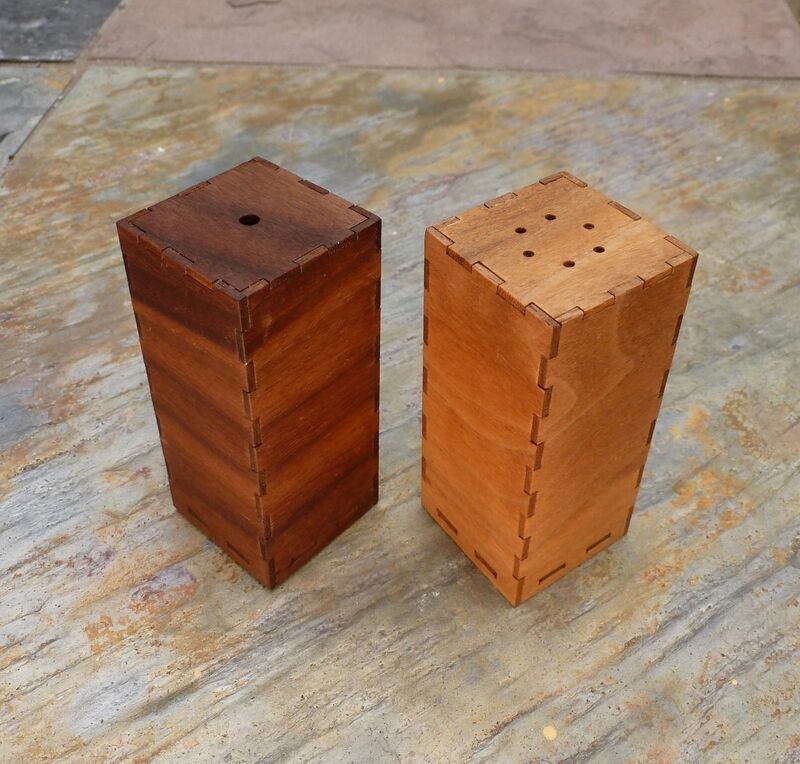 The laser also seems to 'caramelize' the end grain of the wood in a nice way.